Haven’t been scuba diving lately? Feeling a bit rusty? The PADI ReActivate Scuba Refresher program is just the refresher you need to brush up on your knowledge and skills. A PADI Professional will get you in the water having fun and feeling comfortable again. It’s quick and easy, and a good way to prepare for your next PADI course or get ready for adventure on a diving vacation. 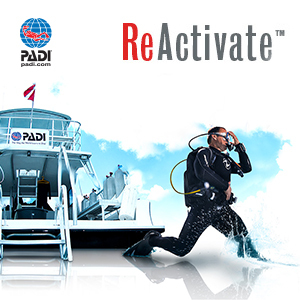 Register for PADI ReActivate™ Scuba Refresher Online – PADI’s eLearning option – to get started immediately. The web-based system allows you to review key concepts at your own pace through a friendly, interactive program. You’ll use basic scuba gear, including a mask, snorkel, fins, regulator, BCD, dive computer and a scuba tank. The exposure protection you need will depend on the pool or confined water dive site you’ll visit. The ARIZONA DIVE SHOP staff will explain other equipment you may need for your PADI ReActivate™ Scuba Refresher. 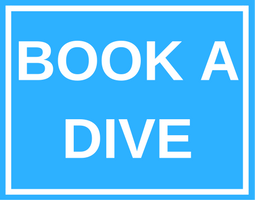 Contact us today to enroll your PADI ReActivate Scuba Refresher with Arizona Dive Shop Subic Bay and get back in the water!